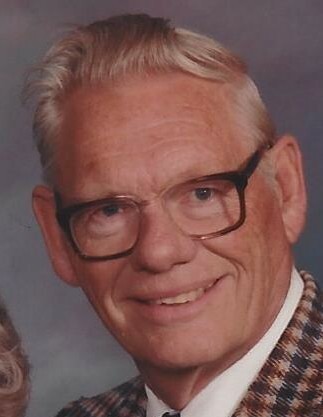 Clifford E. Swanstrom, 86, of Bellaire, went peacefully to his eternal home on November 5, 2018 at Meadow Brook Medical Care Facility. He is survived by Linda, his wife of 60 years. Also surviving are 4 children, Johnathan (Catherine) Swanstrom, Beth (Rex) Bulgrien, Anita (Tom) Isenga, and Kenneth Swanstrom, 10 grandchildren and 4 great-grandchildren, who will all miss his caring and protective nature. He also has 2 surviving brothers, Robert and Ervin. He was preceded in death by his parents, Oscar and Grace; a brother Arnold and two sisters, Ellen and Dorothy. Cliff’s faith in God was the anchor of his life. He loved his family and was a man of many talents and abilities. He enjoyed traveling, reading and planting trees on the homestead property. A funeral service will take place on Saturday, November 10 at 1:00 p.m. at the Mancelona Free Methodist Church. Visitation will take place from 11:30 a.m. until the time of the service at the church. Memorial contributions may be made to the Mancelona Free Methodist Church, 10725 Darragh Rd., Mancelona, MI, 49659. Arrangements are being handled by the Mancelona Chapel of Mortensen Funeral Homes. Please sign his online guestbook www.mortensenfuneralhomes.com.